Please note this is an archived site for historical reference, and will not receive any further updates. Massey University has enabled IPv6 on its border and core campus routers. Its central network services, including DNS, external email and NTP are also enabled. Massey’s main website is IPv6-enabled and remote login to some servers and network equipment also support IPv6 for systems administration and networking staff. The university is currently peering using IPv6 with KAREN and the Auckland, Wellington and Palmerston North Internet Exchanges. The University continues to enable and enhance IPv6 capability in its various network applications. Auckland-based ISP WorldxChange Communications have been dual stacked for 5 years. Recently the company has been running a consumer trial and are well prepared for when consumers have ready access to cost effective, IPv6 compliant CPE. Palmerston North-based ISP Inspire Net has been experimenting with IPv6 since 2008. It has had native IPv6 transit since late-2009, and is currently testing IPv6 on a wide range of services. 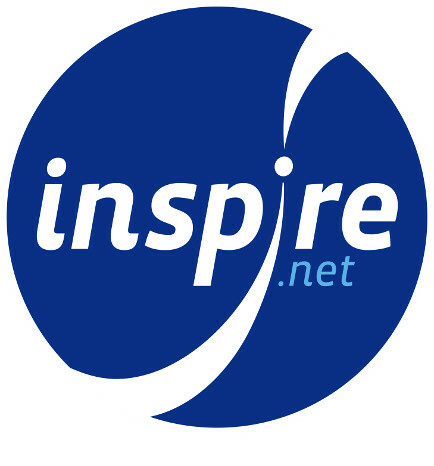 If any cus tomers of Inspire Net wish to experiment with IPv6 then this is possible on a range of Inspire Net’s products including ADSL, wireless and fibre broadband services; DNS and webhosting; and colocation and transit services. KAREN, New Zealand’s R&E network, is an IPv6 native network and has provided IPv6 as a standard service offering to its Members since 2006. KAREN Members are leading the pack in planning and implementing IPv6 capability in New Zealand. 15 of KAREN’s 17 international peers support native IPv6 providing unparalleled native access to IPv6 R&E networks around the world. Auckland-based firm Braintrust specialises in developing and maintaining IT and Telecommunications infrastructure, including IPv6 and legacy network engineering, architecture, and training. Juniper Networks has phased in support for IPv6 in it’s products since 2000. Today Juniper offers networking and security products that support the deployment of IPv6 networks by both enterprises and service providers. These are in use in networks in New Zealand including KAREN and several service provider environments. See www.juniper.net/ipv6 for further information. Wellington-based Prophecy Networks believes that the deployment of IPv6 is essential to the ongoing success of ICT within New Zealand and around the world. Prophecy has ongoing participation in industry IPv6 forums, with staff members holding key positions within those organisations. Prophecy Networks has proven skills in the areas of IPv6 Network Design, IPv6 Security and Training which make the adoption of IPv6 as painless as possible for ICT professionals. Cisco has been involved in developing standards and products for IPv6 since its inception more than a decade ago, and have provided products & services to a wide range of New Zealand customers, across all market segments, to assist with their IPv6 adoption strategies. New Zealand Internet Backbone Provider FX Networks offers native IPv6 support for its customers at no extra charge. It is a full production service with parallel dual stack support for both IPv4 and IPv6. 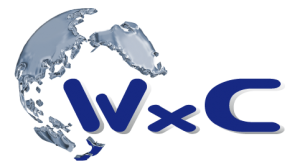 FX also supports IPv6 transport on it’s private IP enterprise WAN service and is the only provider in New Zealand currently certified by the global IPv6 Forum as “active”. Voco provides IPv6 consultancy services such as IPv6 readiness reports, IPv6 address plan design, and IPv6 migration plans. It has recent IPv6 experience for engagements in medium to large organisations. Voco is fully independent, and provides Strategic Consulting, Architecture, and Programme Management services. Wellington-based open source developer Catalyst IT provides IPv6 hosting, consulting, development and testing services. They specialise in systems integration with IPv6 capability. New Zealand network integrator Dimension Data assists enterprise clients through the journey to IPv6 with assessment, design and implementation services. Dimension Data also delivers managed WAN services to government agencies known as one.govt. This service is delivered (in conjunction with FX Networks) with native IPv6 support – using dual stack – as part of the standard configuration. IPv6 has been enabled on 15 websites hosted at Tauranga City Council (TCC). Changes to equipment on the Council’s internal LAN are also being made to enable IPV6. Some internal networks across the organisation have been enabled for IPv6, and dual-stack technology is being used to enable both IPv4 and IPv6 use. A number of internal servers and client devices are now communicating via IPv6, and a teredo relay and 6to4 relay ensure users using these two transition technologies are well served when accessing TCC IPV6 addresses. A fully deployed IPv6 solution is expected to be complete, across all TCC networks, by Feb 2012. Gen-i has developed an IPv6 testing lab for its clients and is in the process of enabling the IPv6 capability within its network product suite – including Gen-i Internet and WAN Services. This leverages the architectural and operational knowledge gained from Telecom who have run a native IPv6 international Internet peering and transit network over the last two years. 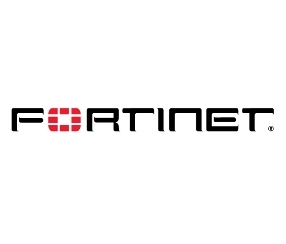 Fortinet is a leader in the network security industry with its early support of IPv6, achieving both IPv6-Ready and JITC certifications in 2008. The company also earned USGv6 certification in 2011. Commited to two important customer segments, global telecommunications carriers and government, IPv6 compliance is a high priority for Fortinet. 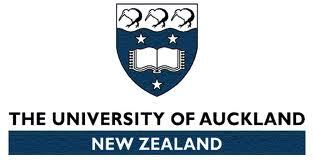 The University of Auckland IT Services team has partially deployed IPv6, in collaboration with the Science Faculty and the Computer Science Department. It has IPv6 connectivity via KAREN and its commercial ISP. Computer Science is fully dual-stacked; IPv6 has been used in undergraduate laboratory assignments and for post-graduate projects. The University is preparing for wider use of IPv6 across the campus as IPv4 exhaustion nears. Waikato University’s WAND group recently added IPv6 to their AMP measuring system, which has nodes around the country on commercial and research sector networks. They measure Latency, Loss, Hops and MTU. Most of the nodes with IP v6 connectivity at this point are those attached to the Kiwi Advanced Research and Education Network (KAREN). South Island-based Snap Internet provides native IPv6 connectivity for all its customers, at no additional cost. Its network is fully IPv6-enabled, with the IPv6 service running alongside Snap’s normal IPv4 connectivity. In a further move to ensure easy migration to IPv6, Snap is selling AVM Fritz! Boxes, which are fully enabled for IPv6, and pre-configured by Snap. The organisation is also fully certified by the global IPv6 Forum. Government Technology Services, a business group of the Department of Internal Affairs (DIA), has launched an IPv6 website as a proof of concept to demonstrate how NZ government websites can be made accessible to the IPv6 Internet. As part of this proof of concept Government Technology Services has set up an IPv6 address schema and established a dual-stack proof of concept government IPv6 website. It will also be auditing its own network for IPv6 readiness. The DIA has now enabled .govt.nz DNS to be fully IPv6 ready for Agencies to utilise. Internet New Zealand is a key advocate for the adoption of IPv6 and is leading by example, having enabled IPv6 on its internal network in 2009. InternetNZ’s network is dual-stacked and its website is also accessible via IPv6. IPv6 – who’s doing it in New Zealand? The implementation of IPv6 in New Zealand is accelerating across business, industry and government. Featured here is a selection of go-forward organisations that have already deployed this most critical of technologies. To be included please email [email protected] with details of your IPv6 implementation and your logo. New Zealand data centre and Internet services firm Unleash provides native, wholesale and business grade IPv6 transit nationwide, as well as operating both 6to4 and Teredo relays on its network. Unleash also provides consulting services on a wide range of IPv6 deployment topics including transition technologies such as LSN, Dual Stack and DS-Lite. Allied Telesis New Zealand delivers IP/Ethernet network solutions, creating standards-based IP networks that connect voice, video and data services. Allied Telesis has been supporting IPv6 in its switches and routers since 1999. Its products are IPv6 Ready phase 2 certified and the company continues to advance its IPv6 solution, ensuring it meets the growing demand for next generation networking. Kordia, who provides National and International WAN and Internet services, offers IPv6 for its Internet services, and its Ethernet WAN services support IPv6 natively. Kordia is in the process of upgrading its IP WAN services to support full IPv6 private WAN connectivity. 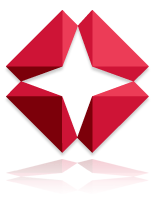 TelstraClear has national core network and international links that are IPv6 capable and are currently used commercially for IPv6 networking. Core-to-edge rollout is in progress with completion scheduled for early 2012 and support of IPv6 consumer, business and wholesale products planned to follow on thereafter. Auckland software and IT consultancy Clearfield Software adopted IPv6 in June 2010 across its entire network. NZICT, which represents ICT and Hi-Tech companies in New Zealand, believes that the adoption of IPv6 is one of the key challenges and opportunities facing the industry. NZICT encourages its members to publicise this important issue with their peers and colleagues and the wider business community. Harmonic is deploying IPV6 in stages starting with external services followed by Harmonic’s internal networks. IPv6 is currently enabled in the Wellington LAN, guest Wifi and the public facing servers, with alternative urls for websites with IPv6. Harmonic also plans to take part in IPv6 World Day on the 14th June by making their website available on IPv6 as well as IPv4 (dual stacked). Through native IPv6 connectivity provided by FX Networks, Fujitsu New Zealand’s SMB hosting facility is in the process of deploying dual stack IPv6 and IPv4 with 80 to 90% of services already IPv6 accessible. The next steps are to get the remaining services dual stacked, build IPv6 DNS servers and publish IPv6 MX records for mail washing customers. Doctoral candidate wants your perspective on IPv6 adoption! This counter should be considered as indicative, based on estimates. Please click on the counter for more information. 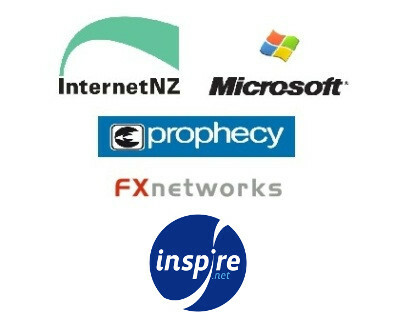 The New Zealand IPv6 Task Force gratefully acknowledges the support of InternetNZ, Inspire Net, Milner Consulting, FX Networks, Microsoft, Prophecy Networks and Net Impact. Many other organisations and individuals have also contributed significantly to the Task Force especially in sponsoring the NZ IPv6 Hui in 2009. Please see the About Us page for the list of current members. Members assist regularly with their time and commitment.